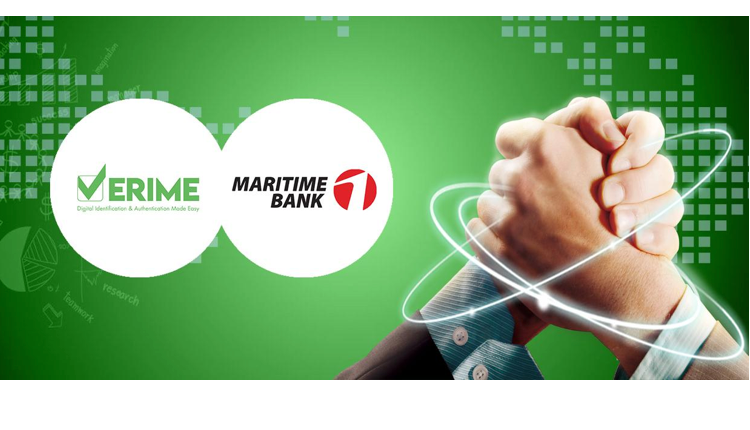 Bitcoin Press Release: In what can be called a major milestone for VeriME — a Singaporean FinTech offering Blockchain based digital identity verification platform, has partnered with Maritime Bank — one of the largest Banks in Vietnam. 1st May 2018, Singapore — This move, which came shortly after VeriME’s Token Generation Event [TGE], was announced by VeriME company officials to the media this weekend. Leveraging VeriME’s D-KYC (KYC) & D-SECURE (Payment Authentication) services, the Bank aims to enhance its digital Banking and checkout experience for customers utilizing their Credit Cards, Retail Banking and Loan services. Interestingly Maritime Bank is the 3rd Banking/Financial Institution in Vietnam to partner with VeriME. The Company has existing partnerships with Military Bank and CFC, with total of more than 5 million addressable customer opportunity for its Verification As a Service [VaaS] platform. KYC continues to weigh heavily on financial institutions. According to a survey conducted by Thomson Reuters, the challenges faced by companies due to complex and tedious manual KYC processes are many. It estimates a financial firm typically spends an average of $60 million USDannually on KYC and Compliance! VeriME, launched in early 2017, is a Singaporean FinTech startup specializing in blockchain based Verification-as-a-Service solution to facilitate easy and fast user authentication for Banks, Financial Institutions, Marketplaces and large merchants. VeriME is partnered with 30+ partners globally encompassing more than 300,000 online merchants and their consumers. VeriME mission is to Digitize KYC and Authentication processes, increase transparency using the Blockchain, provide access anytime anywhere via personal mobile device and minimize time and cost for partners while maximizing customer experience. VeriMe’s vision is to become the leading unified decentralized VaaS platform in the Blockchain space and beyond. VeriME is the source of this content. Virtual currency is not legal tender, is not backed by the government, and accounts and value balances are not subject to consumer protections. Cryptocurrencies and tokens are extremely volatile. There is no guarantee of a stable value, or of any value at all. Token sales are only suitable for individuals with a high risk tolerance. Only participate in a token event with what you can afford to lose.This press release is for informational purposes only. The information does not constitute investment advice or an offer to invest. Source: thebitcoinnews.com Read more here!